This book examines tourism policy and social, economic and ecological change in the Caribbean and Latin America (viz., Mexico and Cuba). The articles focus on tourism policy at the macro and micro levels and tourism impacts on the economy, the environment and the culture of Caribbean societies. 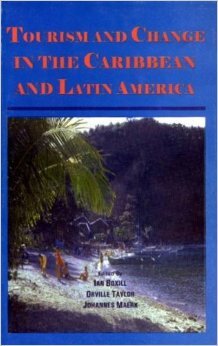 Some of the articles look at the development of tourism in the Caribbean and policy making issues. Others focus on the social and economic impacts of tourism policies. This book draws heavily on case studies and original research. It should be an important information resource for institutions which teach tourism or tourism related subjects.